New year – New you! This is a message we see everywhere at the beginning of January. Many of us start the year with well-meant resolutions to get slimmer, stronger and fitter. That is great news. 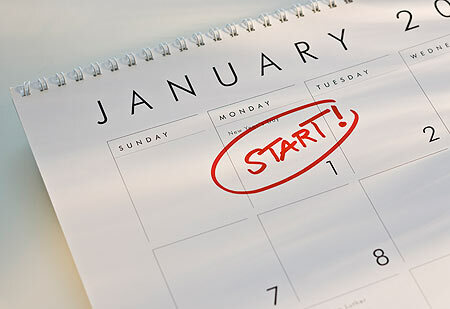 However statistically only 8% of those who make resolutions stick to them throughout the year. Many people will train flat-out for a couple of weeks but then get tired, injured or bored and give up. So how to beat the statics? Start by being kinder to yourself and realistic about what you can actually achieve each week. It’s a tough road to a slimmer, stronger, fitter you. It will require dedication and focus. So start strong but don’t exhaust your energy in January. To make a real change you need to keep going all the way through to December. Don’t be discouraged or daunted by the size of the task ahead – the amount of fat loss, the distance you want to run. Try to break it down into a series of smaller goals and that way you will see and appreciate your achievements and keep going. Many people struggle to find time for exercise. However it will really boost your results if you try to incorporate it regularly into your everyday life. How about sit ups during the advert breaks or pressups while waiting for the kettle to boil? Yes, your family may laugh, but you will be the one smiling in June when the strappy tops come out and you have toned arms and abs. Skipping is another perfect exercise for the time-crunched woman! A great stress buster after a hard day at work. It can be done anywhere anytime ( and even while dinner is cooking!). It builds cardiovascular endurance and works almost every muscle in your body. It’s an intense energy burst and it’s fun! Don’t be fooled into thinking that just because you did it at school it will be easy. It is certainly not! It is a high impact work out and may take some time to master. Start by skipping for a few minutes at a time and gradually build it up. 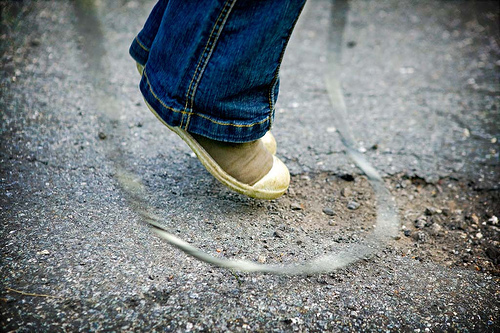 Try skipping to your favourite up-beat track and it will help keep up the tempo. And remember to stretch afterwards – particularly your calves. They will thank you for it the next day.